The NVMF Fingerprint Scanner Module can be used with the VersaModule Socket board, VMO Mainboard, and VMA board. 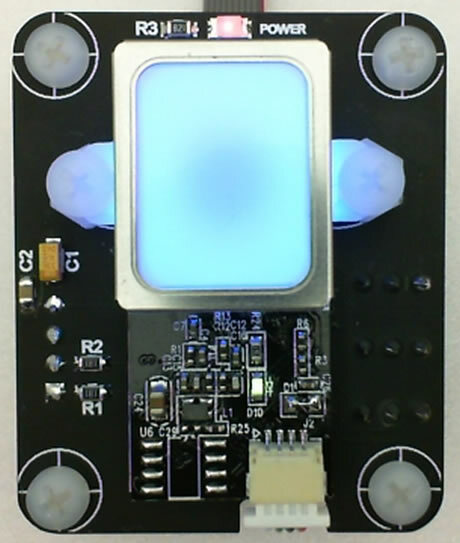 The GT-511C3 is a new module that has been set to work with 3.3v systems, unlike other GT-511C3 modules that only operate at 5v. 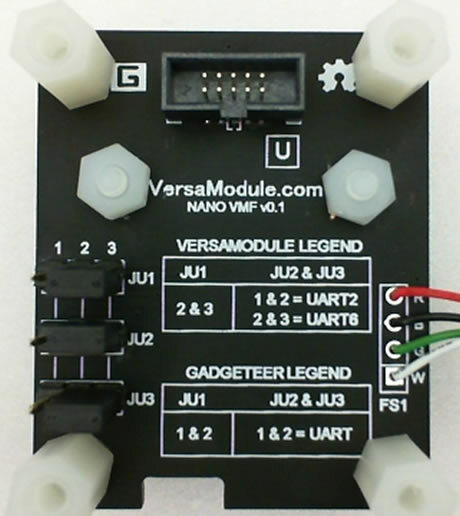 The NVMF module is dual purpose to serve the platforms of VersaModule and .NETMF Gadgeteer. The NVMF fingerprint scanner module is a solution for entry systems that need access without using a key. 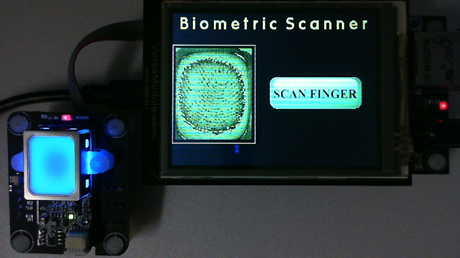 This module allows you to develop your own fingerprint scanning system. The module is a high speed, high-accuracy, Fingerprint Identification using the SmackFinger 3.0 Algorithm capable of 1:1 and/or 1:N identification for identity matching. You simply place your finger on the scanner and in moments know if the user is authorized. Another feature allows you to download the image via network to databases, remote monitoring personnel, on a display monitor or LCDs for enhanced visual effect. Source code for demo is provided with purchase. 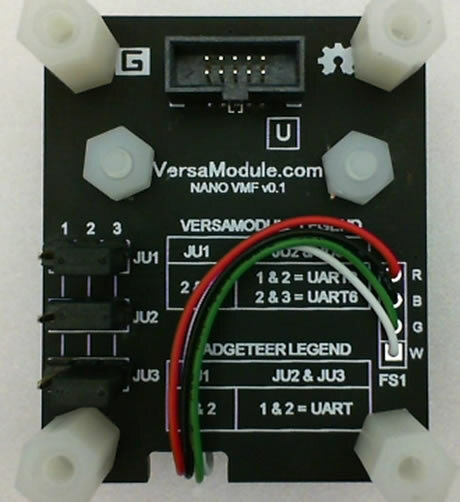 The GT-511C3 module can be purchased alone without the circuit board on our Accessories page for even lower cost. 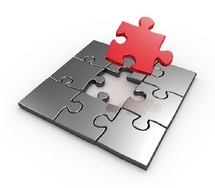 User Jumpers to configure module to be used on VersaModule platforms or .NET Gadgeteer platforms.